Congratulations to Tiger Muay Thai and MMA Phuket Alumni Dimitris Tsitos on his recent success. A multiple time guest instructor at Tiger Muay Thai and MMA Phuket, Dimitiris won his division and the absolute championship at the recently comnpleted Djarum Jakarta Indonesian Open. Also representing Tiger Muay Thai in Jakarta was BJJ Blue Belt Kitty Teppo. 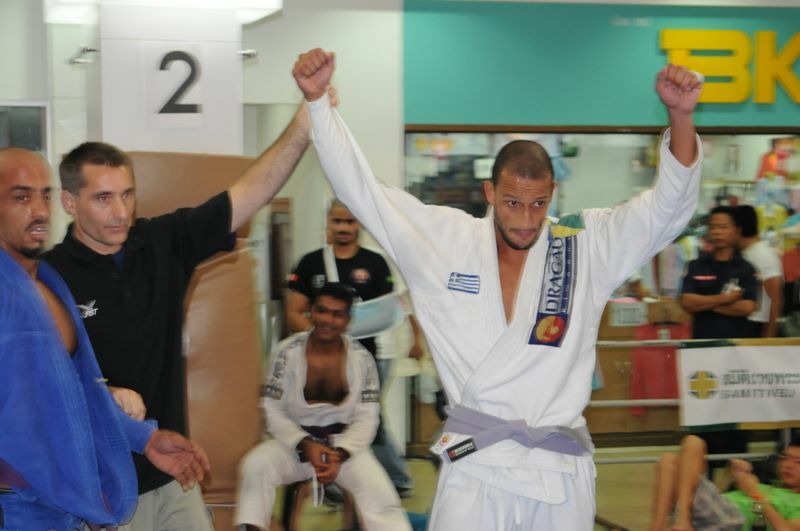 A member of the Gracie Barra competition team, Dimitris is a black belt under Mestre Vinicius Magalhaes.